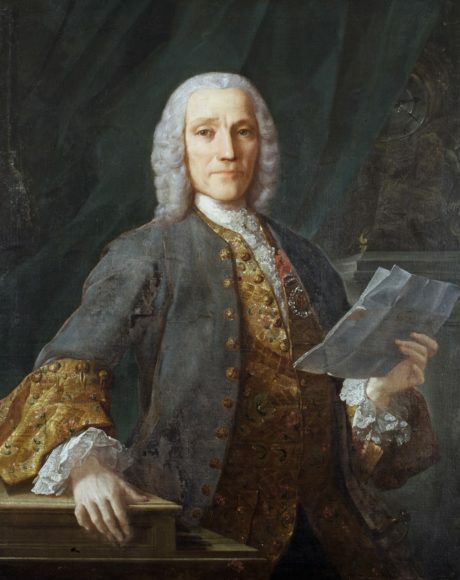 Domenico Scarlatti was an Italian composer who spent much of his life in the service of the Portuguese and Spanish royal families. He is classified primarily as a Baroque composer chronologically, although his music was influential in the development of the Classical style and he was one of the few Baroque composers to transition into the classical period. Like his renowned father Alessandro Scarlatti, he composed in a variety of musical forms, although today he is known mainly for his 555 keyboard sonatas. Domenico Scarlatti was born in 1685, in Naples, Kingdom of Naples, belonging to Spanish Crown, the same year as Johann Sebastian Bach and Georg Friedrich Händel. He was the sixth of ten children of the composer and teacher Alessandro Scarlatti. Domenico’s older brother Pietro Filippo was also a musician. At the age of 21, Domenico went to Rome in the service of the exiled Polish queen Marie Casimire. There he met Silvius Leopold Weiss. Scarlatti was already an eminent harpsichordist: there is a story of a trial of skill with Georg Friedrich Händel at the palace of Cardinal Ottoboni in Rome where he was judged possibly superior to Händel on that instrument, although inferior on the organ. In 1719 Domenico Scarlatti arrived in Lisbon. There he taught music to the Portuguese princess Maria Magdalena Barbara. After years of travelling he moved to Sevilla in 1729, staying for four years. In 1733 he went to Madrid as music master to Princess Maria Barbara, who had married into the Spanish royal house. The Princess later became Queen of Spain. Scarlatti remained in the country for the remaining twenty-five years of his life, and had five children there. After the death of his first wife in 1742, he married a Spaniard, Anastasia Maxarti Ximenes. Scarlatti’s 555 keyboard sonatas are single movements, mostly in binary form, and some in early sonata form, and mostly written for the harpsichord or the earliest pianofortes. A distinctive attribute of Scarlatti’s style is the influence of Iberian (Portuguese and Spanish) folk music. An example is Scarlatti’s use of the Phrygian mode and other tonal inflections more or less alien to European art music. Many of Scarlatti’s figurations and dissonances are suggestive of the guitar.